The CHAD location is called the "Crowell House." 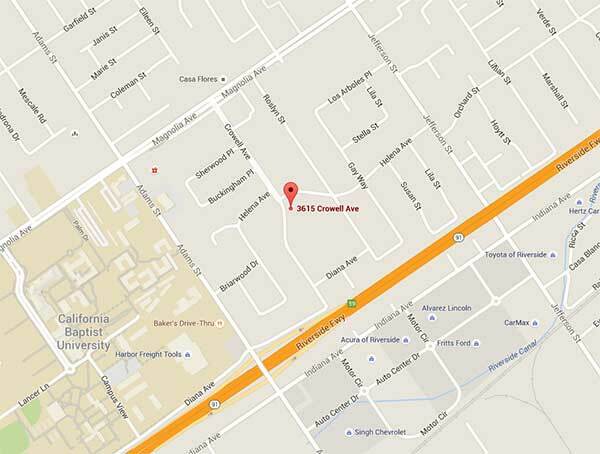 Address is 3615 Crowell Ave, Riverside, CA 92504. The house is located one block from California Baptist University. Visiting hours are 9:00 am to 11:00 am and 1:00 pm to 4:30 pm, Monday through Saturday and Sunday 1:00 pm to 4:00 pm.